Nokia has been hitting the market outside Nigeria hard with quite some interesting phones like Nokia 3 , 6, 5. Now Nokia 8 is been rumored. When will Nokia get to Nigeria? 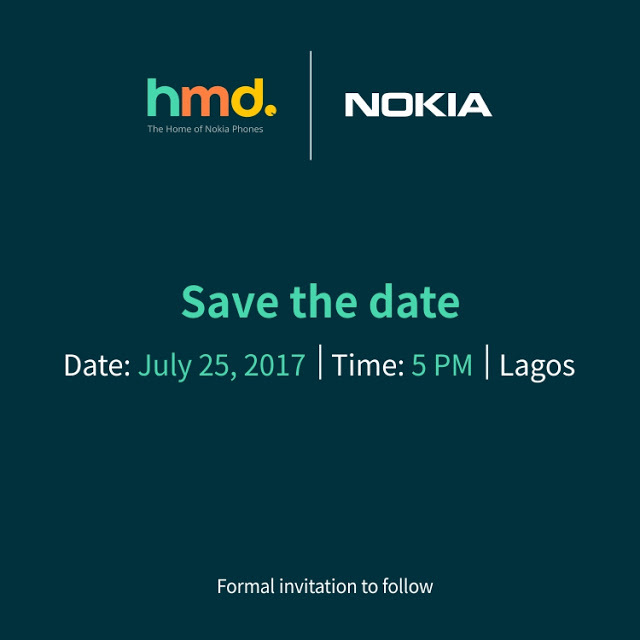 Nokia that formerly dominated Nigerian handset market, will be coming back with HMD behind the affairs on 25th of July. Nokia has declared Tuesday, 25th of July as it’s arrival day to Nigeria as it will launch some device in an event at Lagos. You should see the device launched by Nokia in Nigerian makers soon. devices like Nokia 6, Nokia 3 and Nokia 3310. Now, i’m pretty sure Nokia will take back it’s lost glory in Nigeria, as Nigerians so much trust the brand when it comes to durability and clean camera.